There is a big chance you have never heard of Follain. This “clean beauty” company is expending faster than you might think and is opening also a store in NY today. Follain doesn’t retail just any brand you also find with Sephora. To be Follain approved, a product has to be safe, effective and luxurious to experience. The approving process has 5 steps. Follain does its own research and approving process before hitting any skincare product on the shelves. 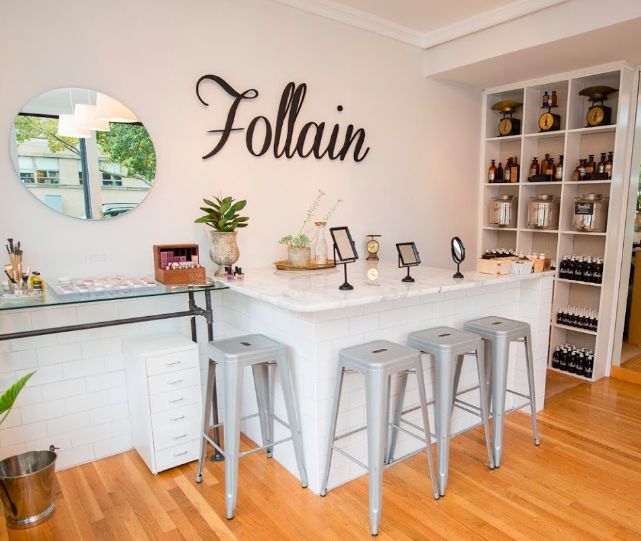 Follain has more doubled its stores this year counts physical retail as 30 percent of total revenue and is on track to open three more stores in 2019. Tara Foley, founder and CEO of Follain, expects those 2019 retail opportunities to maximize the brand’s presence in existing markets. With 6 stores and a 7th store opening today in NY, they are entering a big market. The New York store has 600 products on the shelves from 70 brands, and will primarily carry skin-care and makeup products, versus other categories like bath and body and hair. Next time you’r in NY, make sure to check them out!